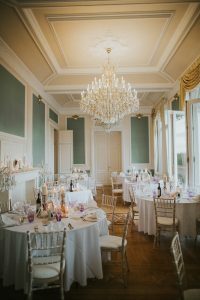 Laura describes the château as “chic, luxurious and magical”, stating that “elegant, romantic floral arrangements are great for this wonderful castle”. She likes to work in harmony with the colours of the castle’s interiors and grounds, making arrangements according to her mood and the season. 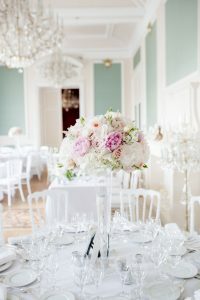 She recommends that clients pay attention to the colours of the rooms the flowers will be in, and that they “respect the universe of the castle” when thinking about what kind of arrangement they’d like. 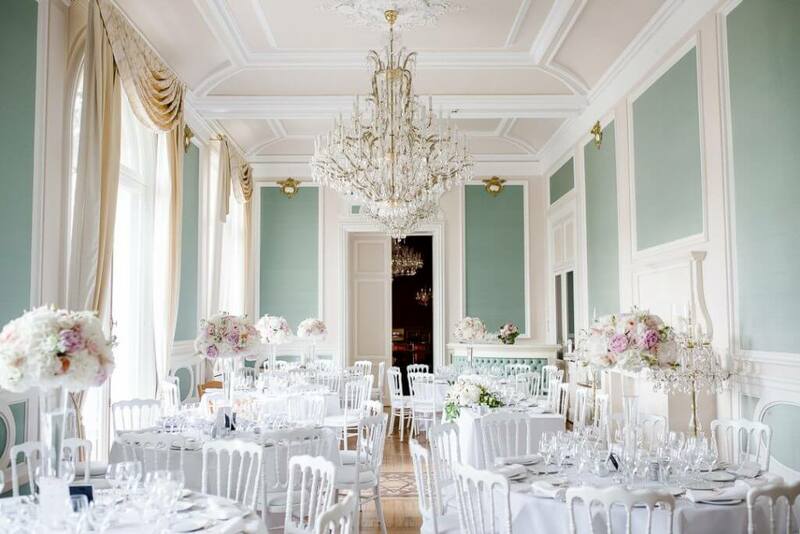 From rich, baroque bar areas to airy marble-clad spaces, the château has a variety of options to create any dream event. 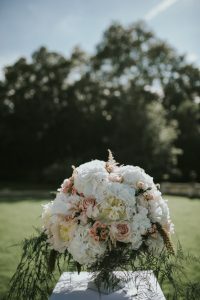 According to Laura, one floral décor trend to look out for in 2019 is a movement towards fluidly natural arrangements with strong vegetal elements, offering a lush and slightly wild look. Dried floral displays offer an alternative approach, their rustic stems used to create an offbeat feel. 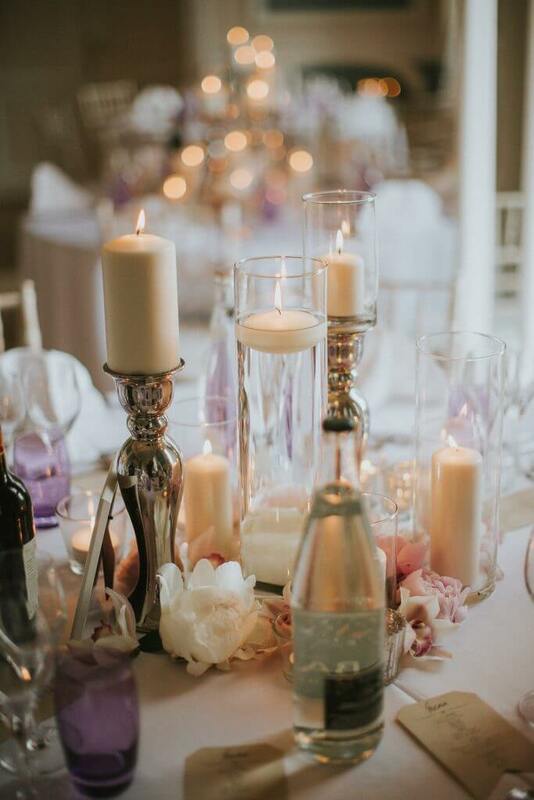 Although she works with any customer request or preference, Laura herself is particularly fond of working with “beautiful English roses, foliage, hellebore and sweet pea”. 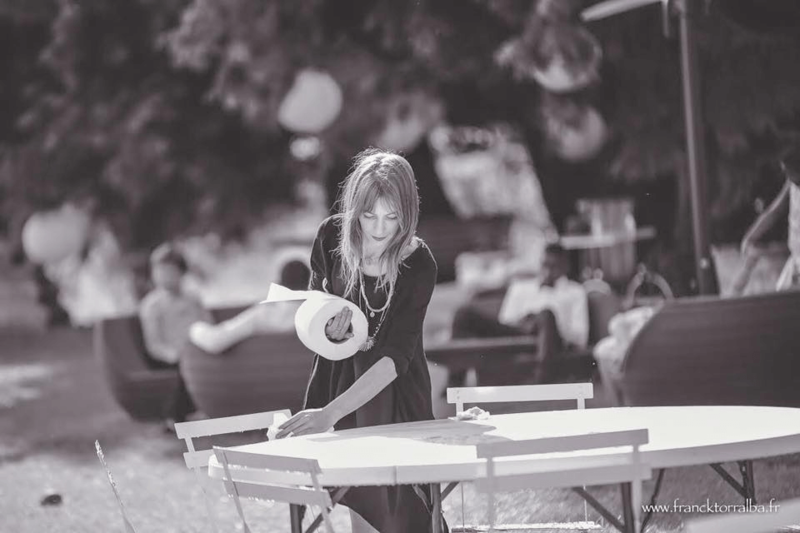 She scours flea markets and garage sales for interesting finds, which she often incorporates into her work at the Château Bouffémont – “Even at the last minute, I can create a beautiful decoration out of flowers and objects such as candles, chandeliers and vases”. The floristry profession has recently hit the headlines after being ranked as the happiest job in the world – Laura explains that despite the 3am starts, gruelling hours and long weekend shifts, the job offers “a great reward, [which] is to see the satisfaction and the joy of our customers.” Working often on weddings within Château Bouffémont’s idyllic grounds, what Laura finds the most beautiful is “the love of the couple, and the personalised choice of decorations that express the personalities of the bride and groom. 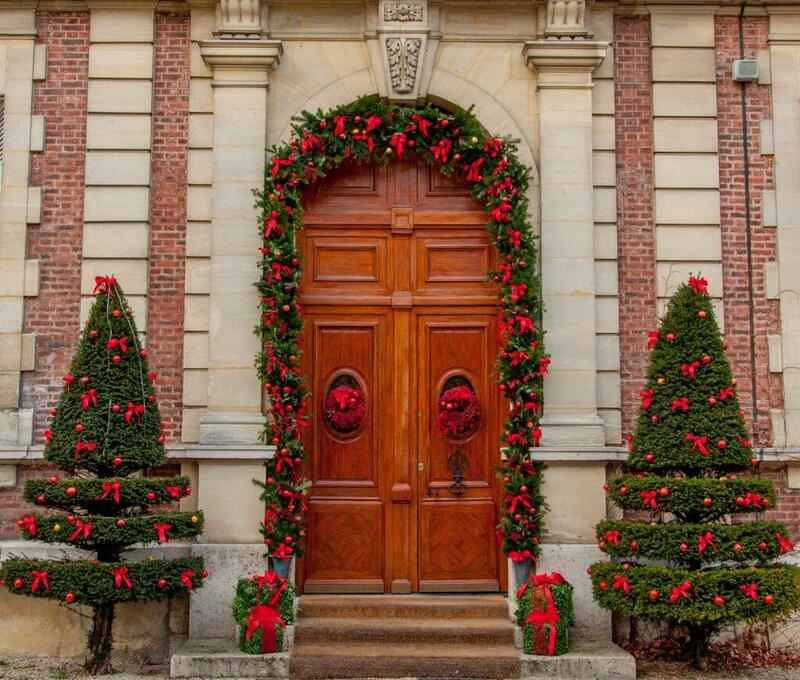 [I love] the joy and the look on their faces when they arrive at the reception, as they finally discover the final results of a good year of preparations.” It is this sense of magic and wonder that makes the château a dream location for so many happy couples. 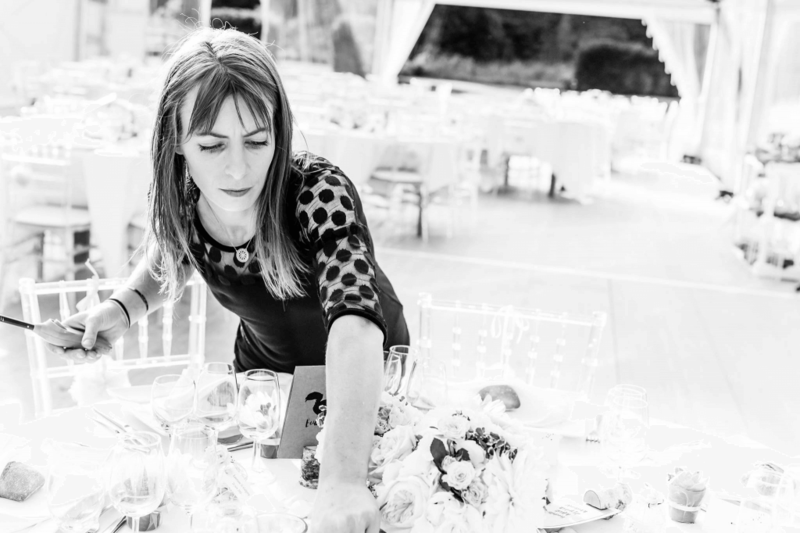 Working on everything from weddings and birth celebrations to corporate events and commercial window decoration has helped Laura to hone her craft through the years. Flowers are an intrinsic part of her day-to-day life – as she explains, “I am rather active, and I don’t like to stay still, so creating bouquets is my way of relaxing!” Her floral décor perfectly complements the elegant interiors of the Château Bouffémont – so this works for us.